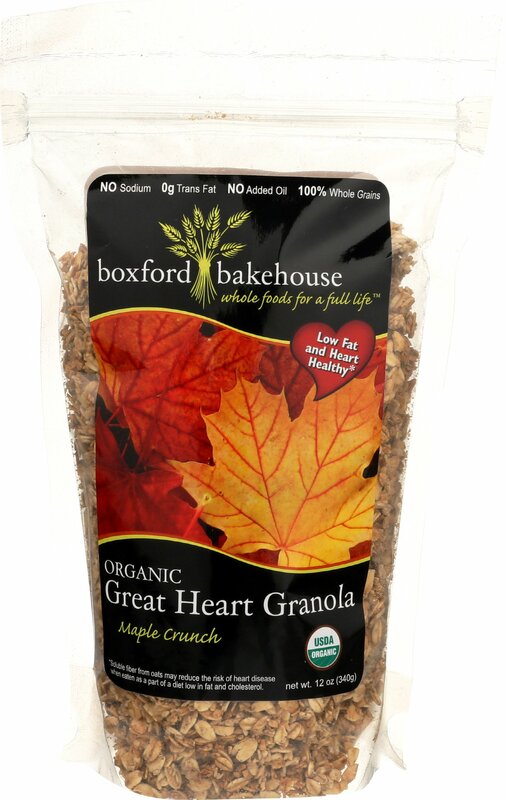 For the purist – no nuts, fruits, or berries here – just the clean fresh taste of whole grains and 100% pure maple syrup. The perfect stir-in for yogurt. 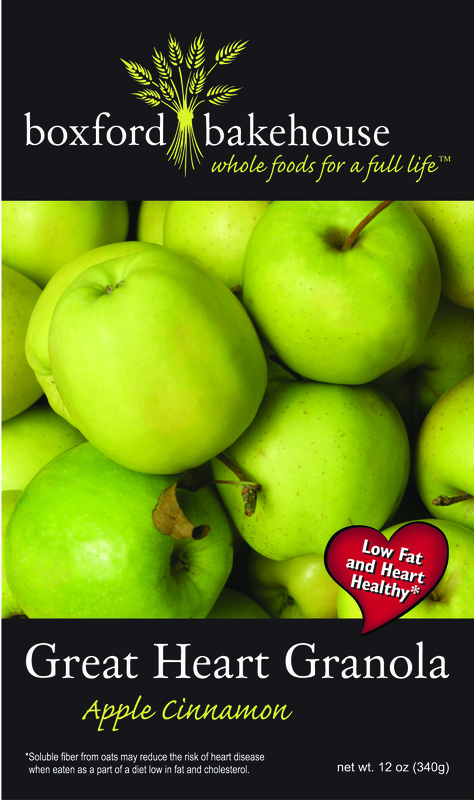 $14 – (pack of 2) 12 Ounce Pouches, includes shipping within the continental U.S.
$39 – (pack of 6) 12 Ounce Pouches, includes shipping within the continental U.S.
Fiber-rich apples and a hint of cinnamon give this granola a flavor that is sure to delight the apple lover’s palate. Whole grains never tasted so good! 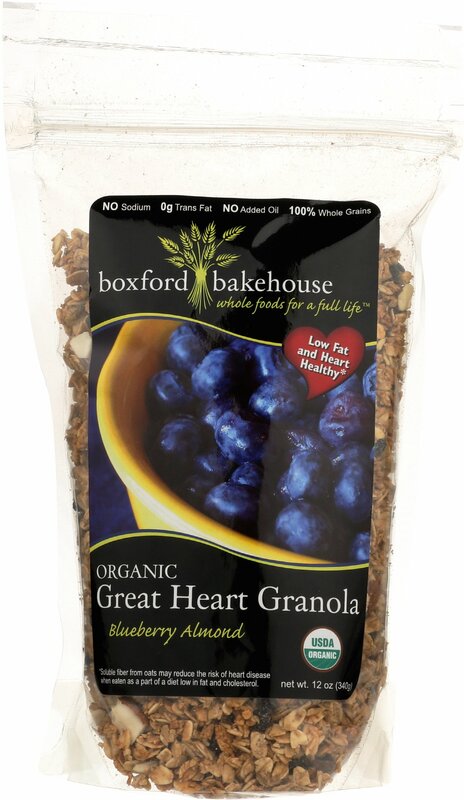 Blueberries and almonds have always been a favorite culinary combination. 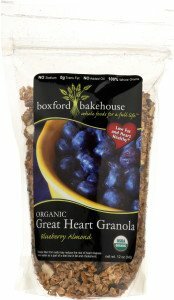 Now blueberries are being touted for their powerful antioxidant qualities and blueberry fans can’t get enough of this granola. 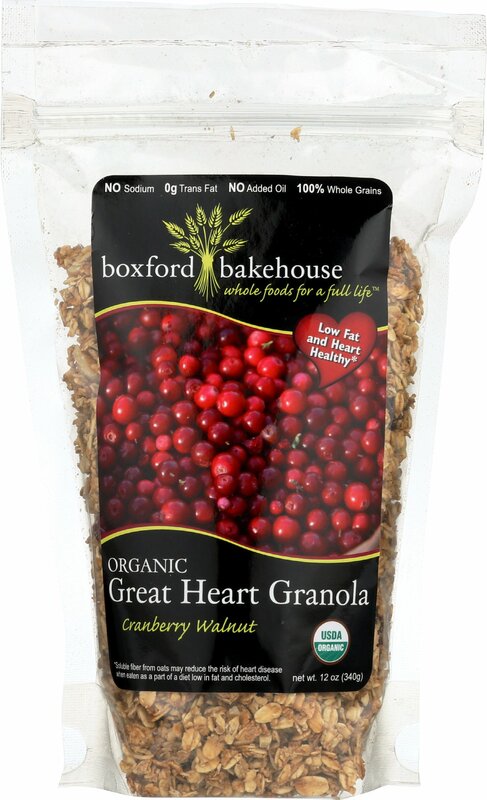 Our Cranberry Walnut granola has a devoted following. 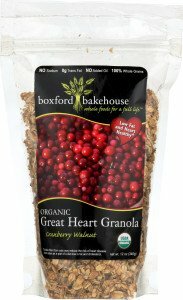 The sweet and tangy dried cranberries combined with toasted walnuts, rich in omega-3’s, create a truly delicious and nutritious granola. 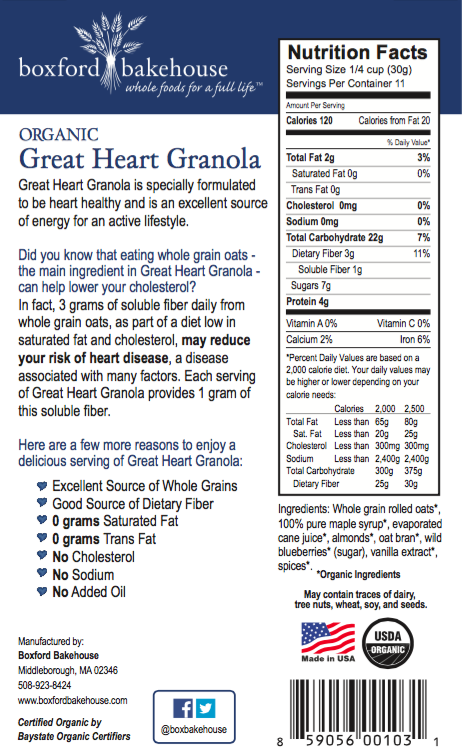 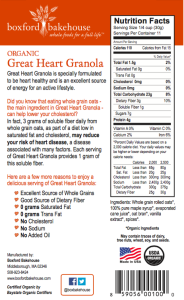 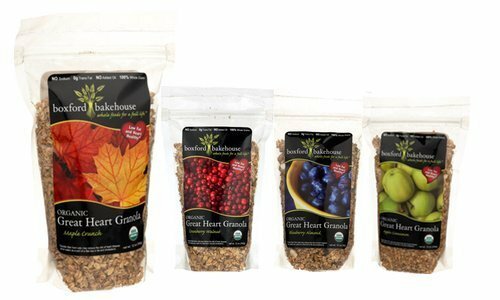 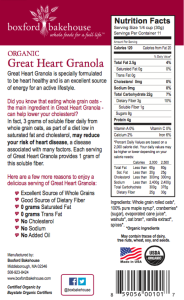 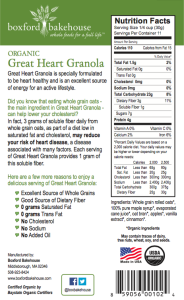 Enjoy a variety pack of Organic Great Heart Granola! 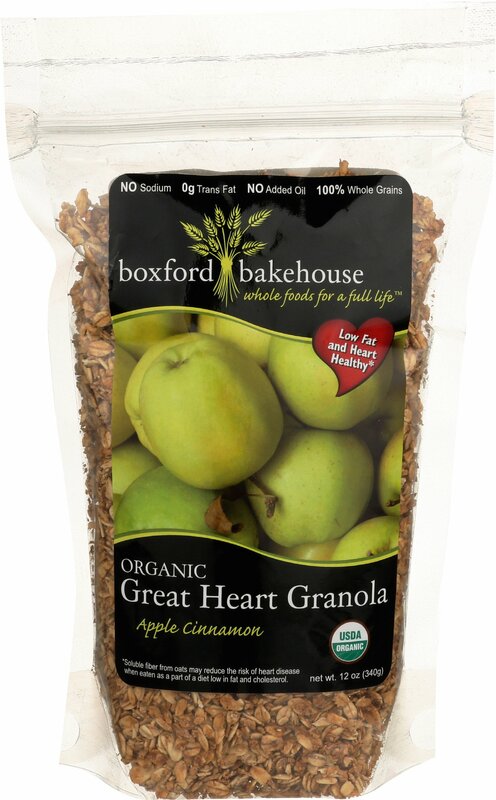 Contents include (2) Blueberry Almond, (2) Maple Crunch, (1) Cranberry Walnut and (1) Apple Cinnamon granola flavors.